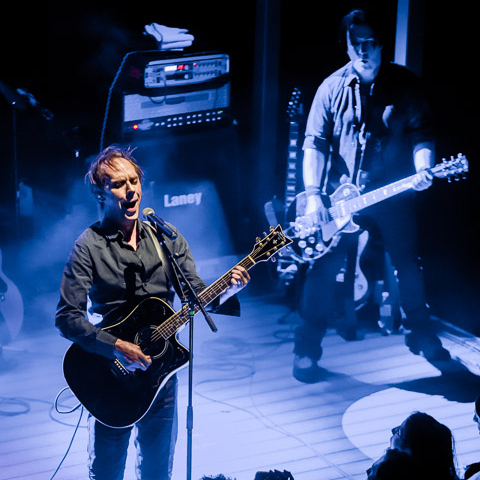 Tons of photos from Peter Murphy live at the Belmont. Bauhaus turns 35 this year, and Peter Murphy celebrated on Tuesday (4/23) by performing only Bauhaus (and songs they covered) at The Belmont as part of his MR. MOONLIGHT TOUR. On the idea of having all of the original members with him Peter stated, “This is not a replacement band; this is a better band.” Zing! Peter and co. performed their 16 song set, which included covers of “Ziggy Stardust” and “Telegram Sam” a la Bauhaus, and multiple encores. SEE THE PHOTOS HERE >>> Peter Murphy celebrated 35 years of Bauhaus at The Belmont (pics, setlist).